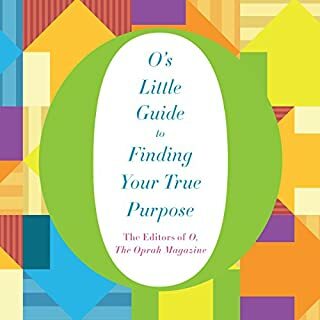 This book is one of the best books I’ve listen to in quite some time, because it speaks to many of the conscious, and some not so conscious questions I have in my head regarding my purpose for being here. To this end, I’ve been silently asking the universe to guide my life towards the reason for my existence—or at the very least towards what will make me happy, and this book has helped give me clues to what that might be. I know this sounds terrible, but finding out the growing discomfort I’ve been knowingly and unknowingly experiencing, that continually shows up and parades around in all facet of my life isn’t solely mine offers some relieve. I absolutely thought I was alone in feeling this way. It was great hearing how and why all the narrators arrived at their truth, and the enlightenment they’ve experienced as a result—I was truly impressed, and a little bit scared at how their feelings of something not being quite right in their lives mirrored my feelings almost exactly. At one point while listening to the book, I started shaking my head in disbelieve at how much I could relate to the circumstances being described, it was as if the narrators knew me, and my situation. At another points in the book, I had tears in my eyes, which totally surprised the hell out of me, especially since I’m not a mushy kind of person. But my tearful reaction, and the book made me realize I’m now on the right path to making my life what it should be.